If you love nerding out about social media almost as much as you love nerding out about Game of Thrones, then have I got the video for you. 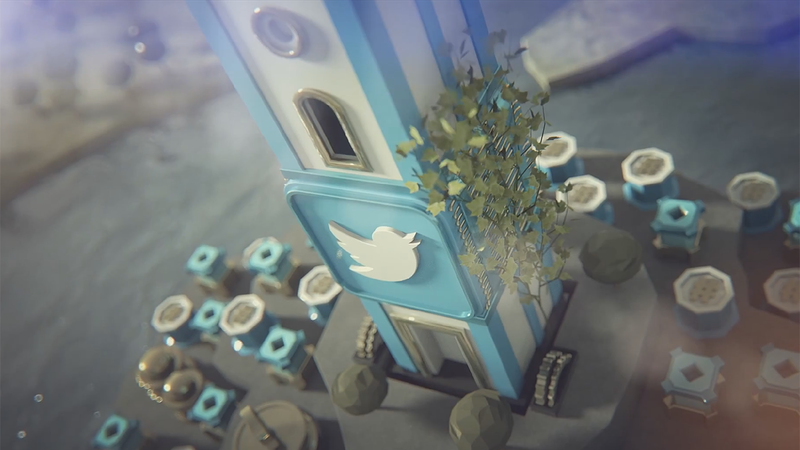 Social media management service HootSuite created the astoundingly well-produced promotional clip below, called "A Game of Social Thrones" and crafted in the style of HBO's opening sequence for the fantasy epic, returning to TV this Sunday for its blood-drenched fourth season. In HootSuite's version, the Seven Kingdoms are reimagined as the major social networks, with Facebook's high walls and Twitter's tower encircled by chirping fauna. Digital wonks will especially enjoy how each company's related services (YouTube for Google, Instagram for Facebook, etc.) are arranged like nearby bannermen. Most self-promotions are works of attention-seeking desperation. This one's practically a work of art. UPDATE: HootSuite tells us the video was largely an in-house production, with the help of an outside motion designer and composer. Also worth checking out again: HootSuite's "Social Media Winter Is Coming" infographic from last year—"a visual representation of the quiet battles being fought between many social networks, who were building walls and blocking access between their respective sites and apps." That's posted below.